This LEW’S FISHING baitcast combo includes a baitcasting reel featuring a premium 10-bearing system with double-shielded stainless steel bearings and a Zero Reverse anti-reverse. Frame and sideplates are strong and lightweight graphite. The downsized-design is made possible by the reel’s innovative 32 mm machined and anodized U-shape aluminum spool. The main gear and crankshaft are strong solid brass, and the drag is LEW’S proven Rulon drag system delivering up to 15 pounds of drag power. 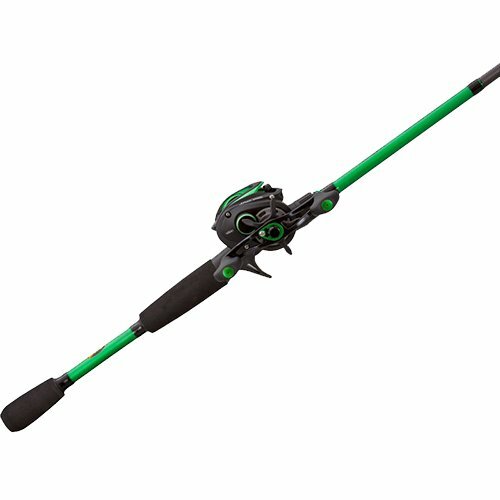 The Mach combo rod is a one-piece IM6 premium graphite rod. Rod guides are durable stainless steel with polished stainless steel inserts.